Damage control. It's a good idea to have your roof inspected on a regular basis and fix minor issues before they become major problems. Do you have a roofing problem? Sometimes roofing problems are obvious, like when a gutter gets crushed by a ladder or shingles are blown off the roof during a storm. Other times, a closer look is required to identify an issue that deserves attention. Some problems are easy to detect, while others require an expert eye. The good news is that all the problems explained below can be detected and corrected when you work with an experienced, full-service roofing contractor like All-In-One Home Solutions. No matter how big or small your roofing damage, we have the solutions and expertise to be able to fix the issue quickly and effectively. We provide reliable roofing repair services for any of the common roofing problems that might be affecting the integrity of your roof. We are Greater Roanoke's expert roofing contractors, providing our comprehensive roofing services to property owners in Salem, Roanoke, Bedford and the surrounding areas. Whether you have a leaky roof, damaged shingles, or major structural damage, contact the experts at All-In-One Home Solutions to schedule a free estimate on all our roofing services! One way that high winds damage roofing materials is by blowing the finished roofing entirely off the roof. Blow-off damage typically occurs in a section of the roof or on an entire side of the roof that was exposed to the highest winds. Roofing felt and roof sheathing can also be blown away by severe winds. If sections of the roof have been blown off by high winds, we will install new roofing and ensure that your home is properly protected against future storms. Storms and high winds damage roofing indirectly by causing tree limbs and entire trees to fall on the roof. Structural damage from impacts can range from small punctures in the roofing and roof sheathing to the complete collapse of the roof or roof section. Depending on the damage, we will decide if the damage is worth fixing or if a roof replacement will provide better results. Roof shingles (asphalt and wood) can show signs of damage simply because they’re wearing out. In other cases, damage occurs because of other factors. Missing, broken and torn shingles can be caused by wind, impact or foot traffic. Old shingles often cup, curl and become brittle; these are all signs of roofing that should be replaced. “Bald” shingles that have lost their protective granules detract from the roof’s appearance and will age prematurely if they’re exposed to direct sunlight. During a roof inspection, it’s also important to look for “nail pops” – roofing nails that have been pushed up through roof shingles and can cause roof leaks. Sometimes shingles can be repaired and sometimes the roofing will need to be replaced. Our expert roofers will inspect your roof and choose the best course of action depending on the extent of the damage. Unless a large tree branch has punched a hole in your roof, roof leaks can be difficult to detect. Water can leak past the roofing through a hole made by a popped nail. It can also leak into your house around damaged flashing or because of water backed up behind an ice dam. The point where the leak found its way to your living space may or may not be close to the leak location. It’s smart to call in an experienced roofing professional if you find water leaking into your house from above. All-In-One Home Solutions will inspect the chimney and vents for cracks in the flashing, check the eaves for damage from ice dams, look for damaged shingles, and check the attic for leaks in the deck. The main purpose of flashing is to keep water away from building materials or building assemblies that can be damaged by moisture. Flashing can be replaced or reused during re-roofing and roof repair. It can also be omitted or incorrectly installed. A roofing inspection should always include the inspection of roof flashing to identify damaged or missing flashing problems that require correction. Managing roof runoff can help prevent basement flooding and other moisture damage. That’s why it’s important for gutters and downspouts to function correctly. Gutter and downspout damage can range from small dents and scrapes to sections that become crushed or bent. It’s also possible for gutters to pull loose if fascia boards or rafter ends have been weakened by wood rot. A professional can inspect your gutters and downspouts and clean out any debris that has caused them to clog or replace the gutters if they are damaged. Impact from hail and windblown objects will sometimes crack the glass in roof-mounted skylights. In some cases the damaged glass panel can be replaced, but most often a new skylight unit must be installed. Sometimes roof vents (like a gable-end vent, for example) allow insects and animals into the attic because they aren’t properly screened. In other cases, there may not be sufficient ventilation, necessitating the installation of additional vents. Ventilation problems can also result when vent openings are blocked. A skilled, full-service roofing contractor will be able to diagnose and fix these problems and either repair a damaged roof vent or install new vents if necessary. When wood gets wet and can’t dry out completely, wood rot is likely to occur. Even a small leak can result in rotted roof sheathing and rafters, which will seriously weaken the roof structure. Other areas vulnerable to wood rot include the fascia board and soffit. These problems are often discovered during a re-roof, and can be corrected by patching in new material. When a new asphalt shingle roof is installed on an existing house, the old asphalt shingle roof can be removed or left in place. Most building codes say that you can’t install more than two layers of asphalt roofing, but this rule is sometimes ignored. There are two main problems with three layers of roofing. First off, the uppermost roofing shingles are likely to be uneven and inadequately anchored to the roof sheathing. Secondly, the combined weight of the roofing material can exceed the strength of the roof framing. The solution is to remove all three layers of roofing and start fresh, directly on the roof sheathing. NOTE: Many of the problems described here apply to all kinds of roofing materials, not just wood and asphalt shingles. 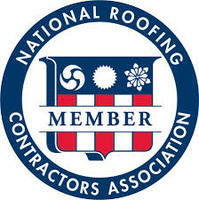 After inspecting your roof, our certified professionals will know exactly what needs to be done to repair your roof. Some damage will only need minor repairs, while other roofing damage will require a complete roof replacement. We will help you choose the right solution to ensure the you get the most out of your investment. We are dedicated to providing quality services and products at affordable prices. We also provide emergency services when you need them. Call us at 1-844-385-7881 or get a free estimate online for roof repair, replacement, or any of our other roofing services, available in Roanoke, Salem, Bedford, Vinton, Rocky Mount, Troutville, Moneta, Cave Spring, Blue Ridge, Boones Mill and many parts of Virginia.